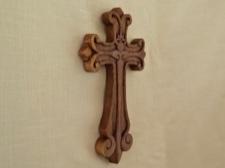 A wonderful representation of faith, this celtic cross is handcarved from beautiful Raintree wood. 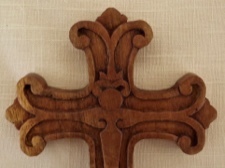 Carefully decorated with a flowing fleur-de-lis design, this cross was made by the master woodcarvers from Mas Village, Bali. 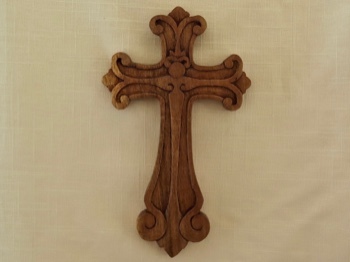 This cross would grace any wall in any room. This carving stands 9.75 inches tall, spands 6 inches across, and is just over .6 inches thick.